Kevin is from Aiea, Hawaii and graduated from Pearl City High School. He went on to study Japanese and Judo at Tokai University in Japan and graduated from San Jose State University with a major in accounting. Kevin’s life can be broken up into three parts: family, business, and judo. He is married to Mari, and they have five children. He is a managing partner at Pacific Rim Legacy Group, a financial services company. He is also extensively involved in judo at the local, state, and national level. 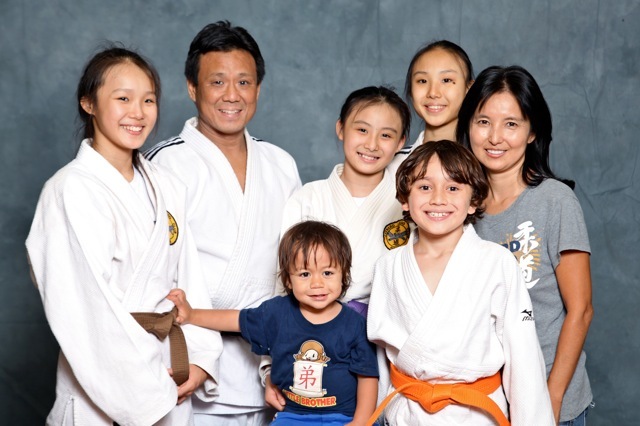 He is the head instructor of Leeward Judo Club, board member of 50th State Judo Association, president of Hawaii Judo, Inc. and president of the United States Judo Federation. In 2008 he wrote a book entitled, “Step Onto the Mat’, in which he shares the lessons learned from his journey to a silver medal in judo at the 1988 Seoul Olympics. Together with his business partner Del Fujinaka they founded Personal Transformation International which is a 501c3 charitable organization. Together they empower people in the areas of health, finances, and relationships. When Kevin is not working he spends his time playing with his children, napping, reading, and playing music.